A small and charming town in the province of Chieti, San Martino sulla Marrucina, which despite the historical events, has preserved its location on the original founding site. The town's name refers, not only to the patron Saint of the knights, but also to the via Marrucina, the pre-Roman road that connected with the ancient Teate, the capital of the ancient Marrucini population, today known as Chieti. The area was inhabited since Prehistoric times, as attested by the finds found in the nearby (particularly funerary dowries, tombs and pieces of pottery). Less, however, are the Roman remains, enough, however, to establish the presence in the area of noble villas. Even before becoming part of the Lombards domains in Italy, San Martino sulla Marrucina was already registered as one of the castles of Chieti. Between the XVII and XVIII centuries, the feud was ceded to the De Pizzis Family. In this period the town developed from an economic standpoint, thanks to the industrial activity of the "powder keg", with merchants, at the same time smugglers, who make an excellent gunpowder from coal of the vine, according to an ancient and secret recipe. 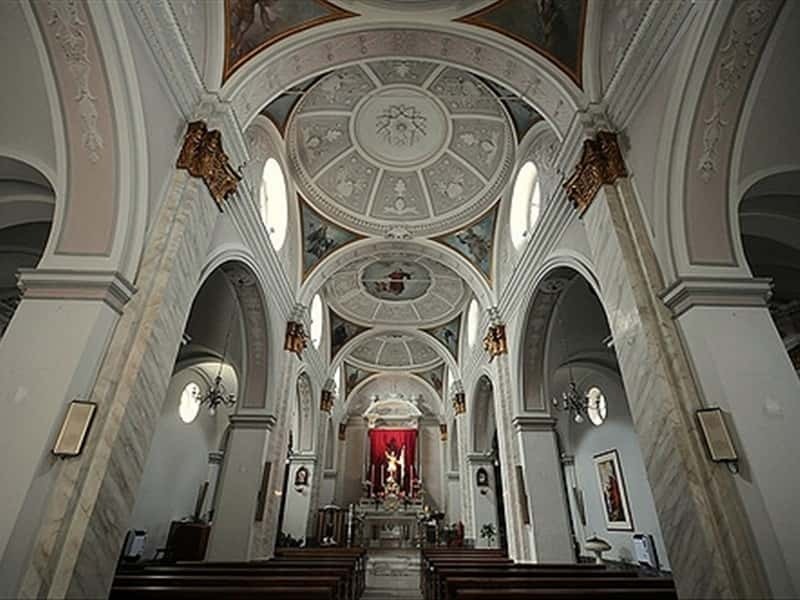 - the Church of San Rocco, already surveyed in the XVI century. This town web page has been visited 14,547 times.